University of California Press, 9780520273214, 288pp. Over the past three decades, a wine revolution has been taking place across the United States. There are now more than 7,000 American wine producers—up from 440 in 1970—and the best bottles are every bit as good as the finest wines of Europe. 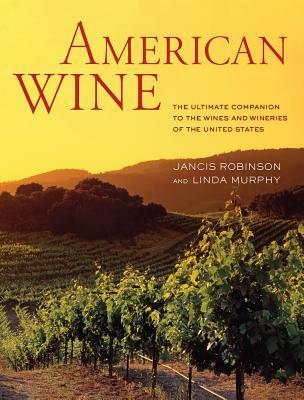 American Wine is the first comprehensive and authoritative reference on the wines, wineries, and winemakers of America. Written by world-renowned wine author Jancis Robinson and U.S. wine expert Linda Murphy, this book is the natural companion to the international bestseller, The World Atlas of Wine. More than 200 breathtaking photographs, profiles of key personalities, and informational graphics bring to life the vitality of American wine culture and 54 detailed full-color maps locate key regions, wineries, and vineyards. Organized by geographical region, American Wine concentrates on areas such as California, Oregon, and Washington that produce the best-known wines, and ventures across the country to introduce gems such as racy Rieslings from Michigan and New York, Bordeaux-style wines from Virginia, bright-fruited Tempranillo from Texas and southern Oregon, and characterful Nortons from the Midwest. Jancis Robinson MW is the author of The Oxford Companion to Wine and coauthor of The World Atlas of Wine, among many other books. Linda Murphy was the wine section editor of the San Francisco Chronicle, where she won two James Beard awards, and managing editor of the New York Times’ WineToday.com. “An informed, intelligent and entertaining tour, “American Wine” is your reader-friendly companion from the Napa Valley to the North Fork. Clear maps, knockout photos, valuable information." "Murphy and Robinson give us the new 'Ultimate Companion' to American Wine, taking into account the significant changes that have hit the U.S. wine industry over the past 20 years. An indispensable reference." "American Wine is more than the ultimate reference guide on the subject, it leaves one feeling there is no better time to be an oenophile in America than today. Sip slowly and enjoy the ride."